Stretching to around 8 kilometres, Cliffs of Moher is a natural wonder that offers a breath taking panoramic view with the blue ocean alongside 700 feet tall green grass covered cliffs. The cliffs are literally vertical with raw edges. 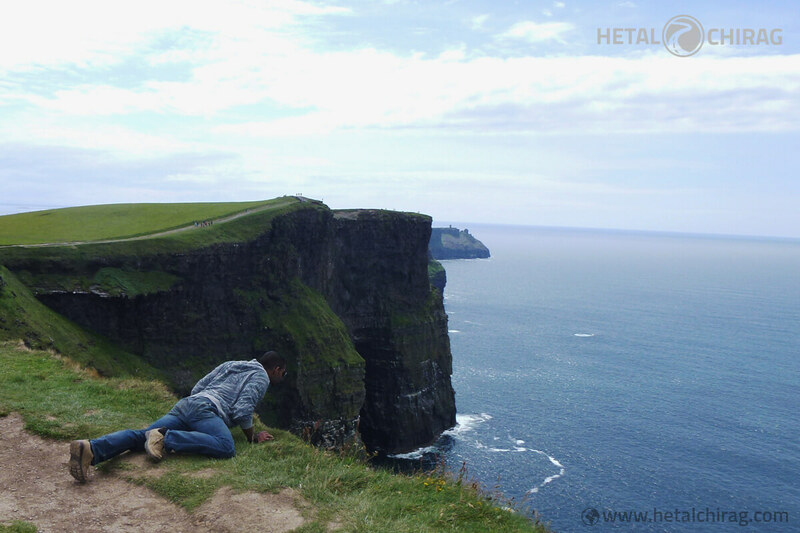 If you are not scared of heights, looking down from the edge of Cliffs of Moher is an experience you will not forget. At a global poll conducted by UNESCO recently, Cliffs of Moher was voted to be the 7th most wonderful heritage site.These cliffs got their name from the ruined fort “Mothar” demolished during Nepoleonic Warin early 1800s.